Goa Chief Minister Manohar Parrikar said that he will "look into" the demand of the BJP state women's wing to ban the screening of Sanjay Leela Bhansali's film 'Padmavati'. Deepika Padukone in a still from 'Padmavati'. Padmavati to hit the theatres in January 2018? PANAJI: Stating that a tourism-oriented state like Goa cannot afford law and order problems, Goa Chief Minister Manohar Parrikar on Thursday said he will "look into" the demand of the BJP state women's wing to ban the screening of Sanjay Leela Bhansali's film 'Padmavati'. Parrikar was speaking to reporters in Panaji after a delegation of the Goa Bharatiya Janata Party (BJP)'s Mahila Morcha led by its president Sulakshana Sawant met him at his official residence to demand a ban on the film's screening in Goa. The delegation also claimed that it was portraying distorted history. "The other issue about this controversy is a law and order problem, which Goa can't afford in the tourist season. A touristic state has to be peaceful. So we will look into both aspects of it. "As of now, the censor board's certificate is not granted, so will take a call after it is granted...whether they take into consideration all these aspects and edit the film accordingly," Parrikar told reporters after accepting the memorandum submitted by Sawant. The Chief Minister also said the issues raised by the delegation, including wrong portrayal of queen Padmavati, was also justifiable. "This is the country's history, where we believe that she committed 'johar' to protect herself. Anyway I will not go into what is there actually in the film. That is for the censor board to look into," he said, complimenting the Morcha's members for raising a "right issue". "My personal opinion is straight that history should be portrayed correctly. If history is portrayed in a wrong way, then people's sentiments might be hurt," Parrikar said. 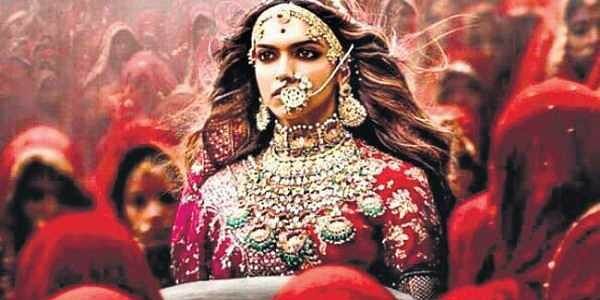 In their memorandum, the Morcha's members said the film "distorts history" and "wrongly links adored queen Padmavati with Muslim ruler Allaudin Khilji, who was an aggressor". "It has been a habit of filmmakers to distort Hindi(u) icons and traditions in the guise of creativity. History has depicted 'Padmavati' as having committed johar to escape dishonour. Large sections of the Indian people adore queen Padmavati for her valour and chivalry," the memorandum read. "The release of the controversial film is likely to hurt the sentiments of a large section of society creating unrest in peaceful Goa. The sentiments of women have also been hurt by the wrongful portrayal of queen Padmavati in poor light and association with Khilji is unacceptable," it added.